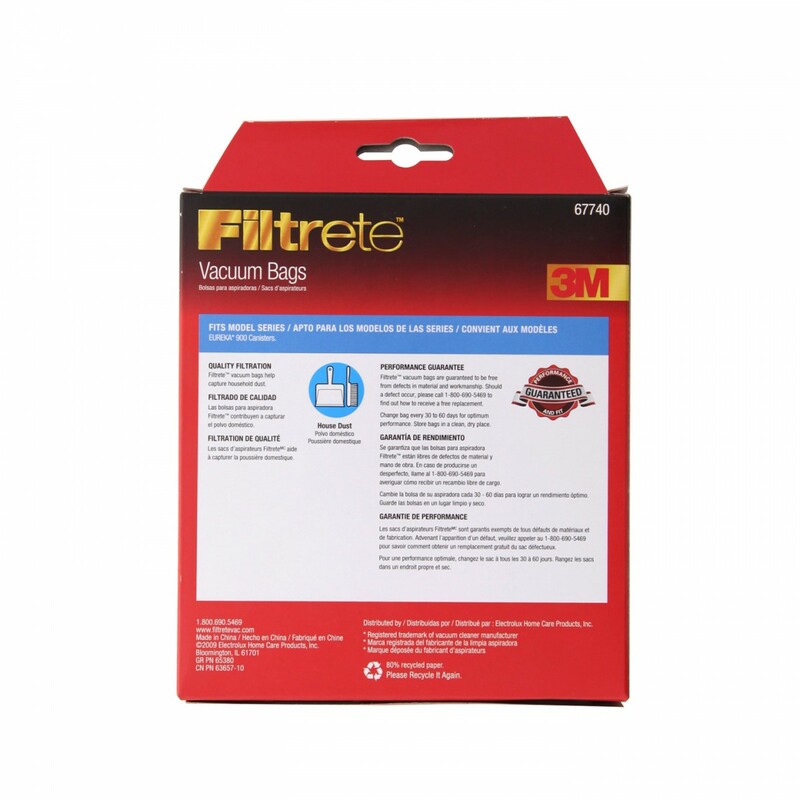 The Filtrete 67740 Allergen Vacuum Bags keep your household cleaner by reducing dust that pollutes the air you breathe. Lessen dust-related allergies and improve your living environment with this great product. 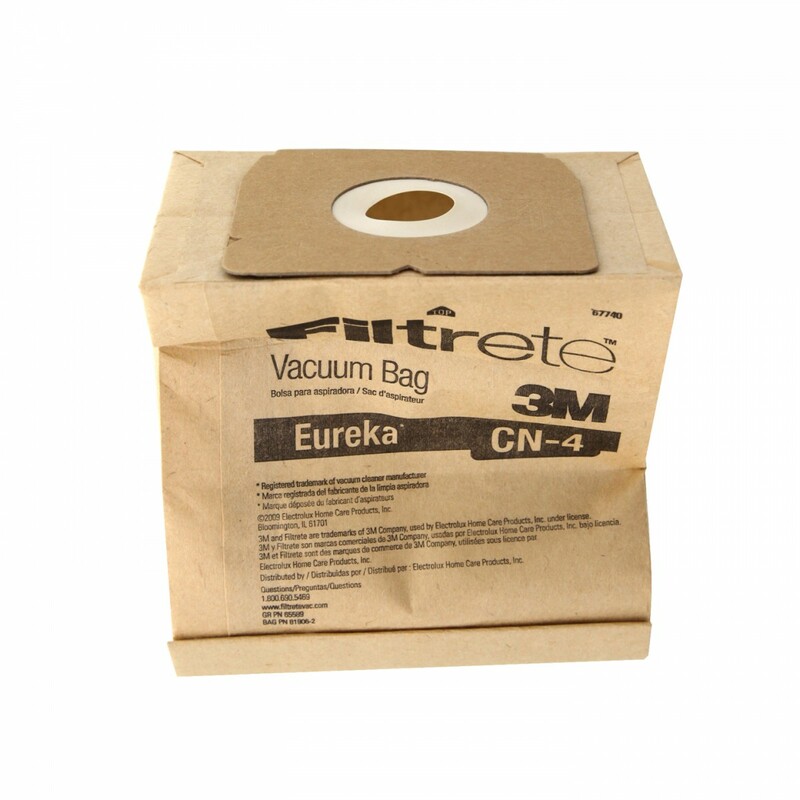 Looking for a way to decrease the irritating nuisance of dust floating in your rooms and collecting on your furniture? 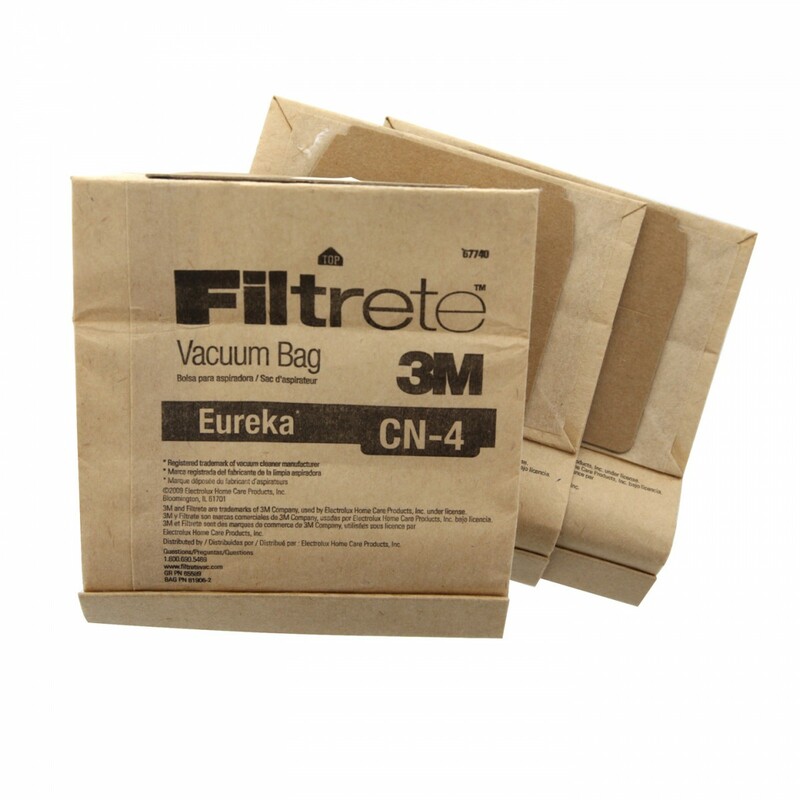 Regularly replace the bags in your Eureka vacuum with quality workmanship from Filtrete. 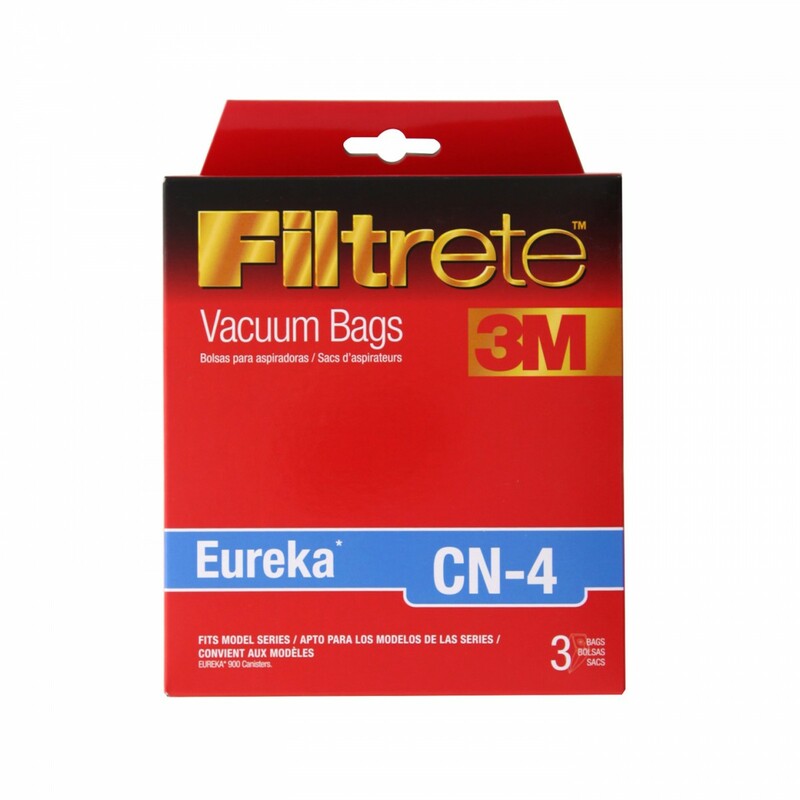 The Filtrete Eureka CN-4 Vacuum Bags fit the Eureka 900 vacuum cleaner. Standard quality filtration for household dust. 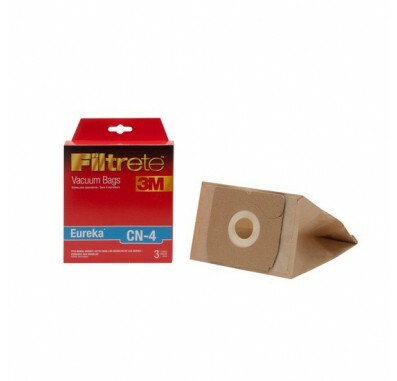 Value pack of three Type CN-4 vacuum bags. Keeps you well-stocked for bag replacement every 1-2 months.